Three gourmet courses prepared by world-class chefs, savored 150 feet over Banderas Bay. 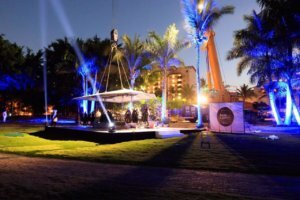 This is Dinner in the Sky Puerto Vallarta, an exclusive, adventurous dining experience offered for a limited time, now through February 28th at Casa Velas. A dining experience like none other in the world, feast on three gourmet courses and unparalleled 360º views of Banderas Bay, PV, Riviera Nayarit, and the towering Sierra Madres – all from 150 feet in the air. This ultra-exclusive opportunity is available only at Casa Velas, now through February 28th. Aptly known as Dinner in the Sky, Vallarta-Nayarit is a truly inspired setting for such an adventurous feast for the senses, boasting artful cities dramatically surrounded by mountains, jungles, and bright blue Pacific waters as far as the eye can see. Twenty-two lucky diners start with complimentary cocktails, before being safely secured to what becomes a “floating” dining area, lifted high in the sky by a nearby crane. It’s a concept that’s taken the world by storm since its inception in 2006, wowing critics (one of Forbes’ Ten Most Unusual Restaurants) and elite foodies alike in hotspots like Paris, Las Vegas, Cape Town, and Dubai. Naturally, it was only a matter of time before it made its way to the crystal clear skies of Puerto Vallarta. As for the food, prepare your palate for culinary paradise. The lineup of renowned chefs preparing ever-changing plates includes Top Chef Mexico alum Mikel Alonso, as well as PV visionary Thierry Blouet of Café des Aristes. 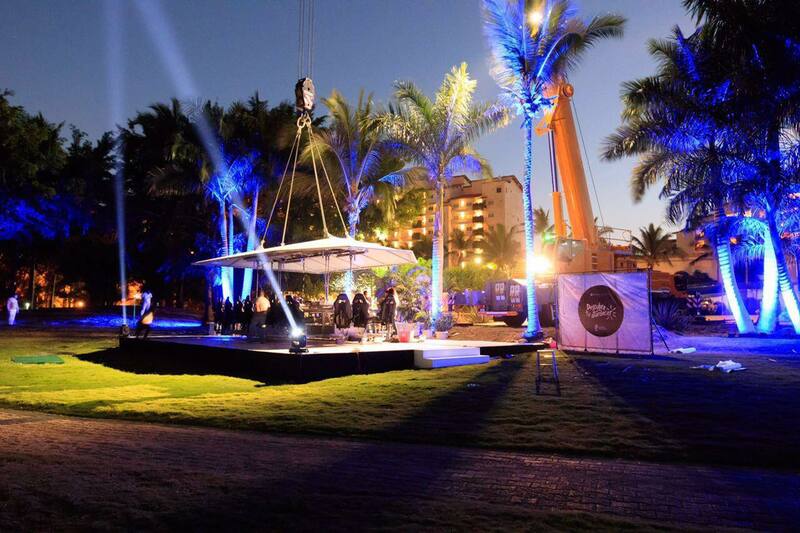 If you’re staying at Casa Velas or Grand Velas Riviera Nayarit, Dinner in the Sky is only $50 USD per person. Velas Vallarta guests enjoy a discounted rate of $80, while all other pre-orders are priced at $170. If you wait to pay on-site, the unforgettable experience costs $242 per person. How better to pop the question than over the meal of a lifetime – and all of Banderas Bay, for that matter? For just an additional $2,500 MXN, your experience will include a special ring presentation, professional photo, bottle of champagne, and a beautiful bouquet of flowers.